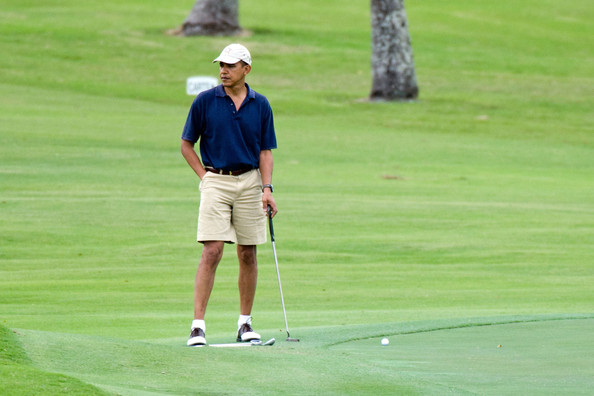 Would Obama be better at Golf if he practiced more? Not having a crack at the leader of the free world. It’s a legitimate question. In honour of my home town hosting Barack Obama and his entourage for the G20 this weekend, I thought I would hit everyone with an Obama themed post this week. BTW I had no idea that Brisbane was hosting not only the G20 but also the B20, C20, L20, T20 (apparently not related to Cricket, more’s the pity) and Y20. I’m pretty sure they have cornered the 20 market (apart from 20/20). Similar to the Big 10 and the Big 12, the G20 actually has more members than the numerical description may otherwise lead us to believe. Well technically there are 20 but one of those is the European Union which actually makes the member nations more like 47. G47 isn’t as catchy, apparently. But I digress. Wow Michael. Don’t hold back. Obama, laying the smack down! Now we’ll leave aside the juicy trash talking issue and focus on the nerdier angle (it was always going to go this way). Would Obama really be that much better if he had played 10,950 times in the last 15 years? Maybe. Maybe not. Depends which theory you agree with. Obama is alluding to the popular theory which espouses that if you practice a skill for at least 10,000 hours you can become an expert. Critics of the theory argue that talent (God given or otherwise) is more important. They say practice is important too but can’t substitute for a lack of talent in the first place. It is really a variation of the nature vs nurture debate. The 10,000-hours theory initially surfaced within an article written by Anders Ericsson, in the Psychological Review, called ‘The Role of Deliberate Practice in the Acquisition of Expert Performance’. Don’t read the whole thing. It is 44 pages long and you will never get that time back. Sorry Anders. ‘It highlighted the work of a group of psychologists in Berlin, who had studied the practice habits of violin students in various phases of their lives (7 up for musicians). The theory didn’t enter popular culture until it was picked up by a series of mainstream books like Malcolm Gladwell’s Outliers. Like all good theories everyone espouses it now. But is it true? Interesting side note – Gladwell and Ericsson may or may not have started some serious trash talking of their own in the wake of Gladwell’s book on the subject, which makes me wonder whether you could become an expert at trash talking (sledging for the Antipodeans) if you were able to commit 10,000 hours to it. The counter-argument is of course that practice cannot put in what you don’t have in the first place. David Epstein (author of The Sports Gene) is on this end of the scale. He believes in the sporting world that innate ability is mandatory. Epstein cites many examples of how this is so. Interestingly, he also says that the will to train may have important genetic components, the theory being, if you are genetically more talented than another person, this will provide an incentive to put in the training necessary to leverage that genetic ability. He says a good deal more than that but I can see your eyes glazing over now. I probably fall on the ‘talent + practice = expert’ side of the equation. I think Obama would be better if he played more but I don’t think he is going to make the Tour unless there are bucket loads of talent hiding underneath there. I think he is already an expert in trash talking but that probably comes with the territory. The 4 Nations. Did not think it was going to be this good. Australia RL. Slowly warming up. England RL. It has been a long time since an English side has hit this side of the world with anywhere near as competitive a side as this one. I wonder whether Sam Burgess would have gotten them across the line or maybe Ryan Hall can grow his fingernails next time. I think James Graham was colossal with Matty Smith and Daryl Clark the finds of the tournament. 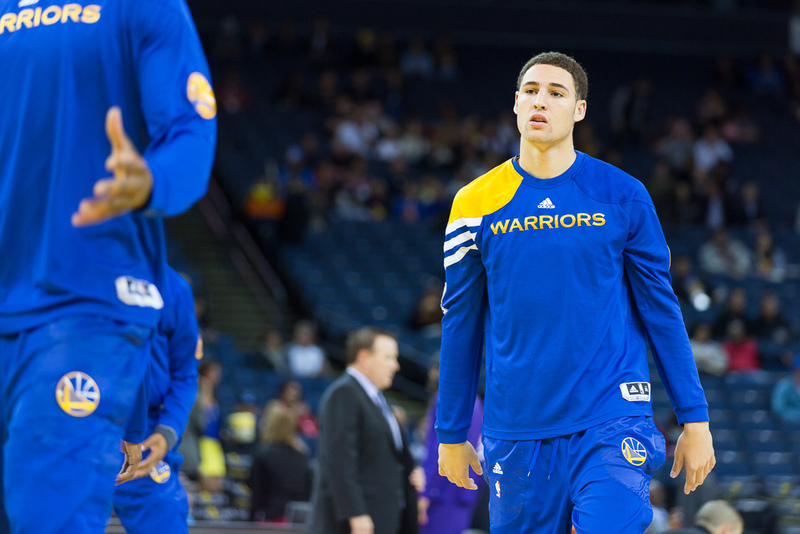 GSW – Great start to the season. I love the new system Coach Kerr is implementing. I think he is building nicely on what Coach Jackson brought to the table. Steph Curry and Klay Thompson are shooting the lights out and Andrew Bogut is the defensive anchor for a team that has continued the defensive intensity Jackson required. Harrison Barnes and Draymond Green have taken the next step in their careers and the roster is stacked with veteran leadership. There is a lot of season to go (and the Spurs reminded them who the benchmark is) but I’ve already checked their records and I’m wondering whether that 59-23 1975/76 season is under threat. Much will depend on injuries and with David Lee and Klay Thompson already logging time on the pine, this much is true. That Ayoze Perez backheel. The Geordies (as always) are streaky but 5 in a row after such a dour 2014 has been an amazing run. Like where Richie Barnett is coming from regarding the International game for Rugby League. I may or may not have had similar thoughts in the past. BTW nothing is funnier than a goat spitting on a man. The EPL is taking a week off during the representative window so no tips this week. Like their real life brethren, the Fantasy Premier League players are taking the week off as well. This entry was tagged Australia, Barack Obama, Basketball, England, EPL, Football, G20, General Sports, Golf, Michael Jordan, NBA, New Zealand, NRL, Rugby League, Soccer, United States. Bookmark the permalink.